It's hard to believe that Mathew - one of the most influential persons in AndEngine - never released any games. Until last week. 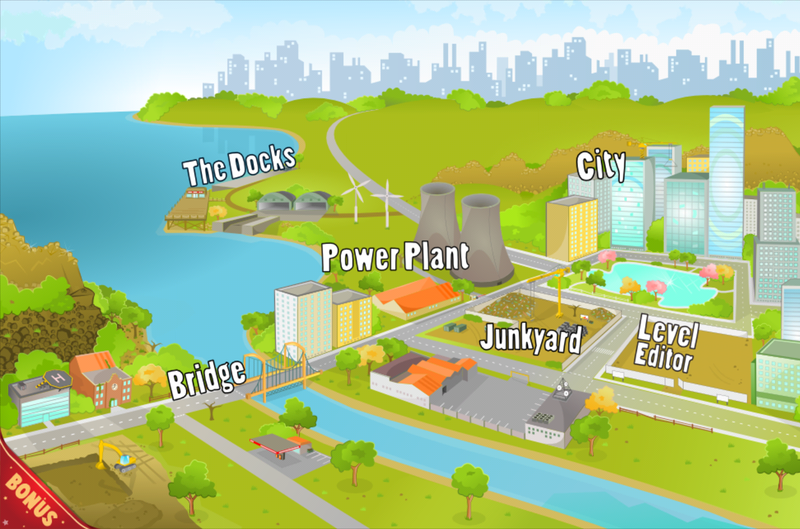 Long awaited Construction City was finally published to Google Play store. And it was worth the wait. 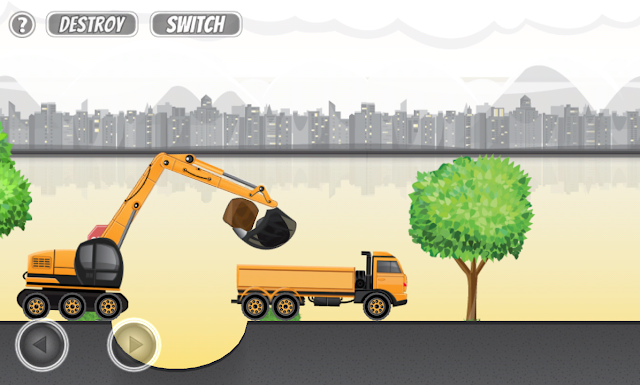 Construction City is a 2D puzzle game that lets you sit behind the wheel and controls of the most popular heavy equipment machines. You can experience driving and controlling cranes, excavators, trucks, tractors, helicopters and forklifts. Every machine has customized and precise controls. Sometimes it's just forwards and backwards when you drive trucks, but controlling a mobile crane is a different story. You control the car movement, arm position and extension of the grapling hook. In most levels you also have to controls more than one machine and switch between them at the right time. The game allows you to fully customize the on-screen controls and that makes the game playable on both small and big screens. Level editor is something unheard of on this platform. 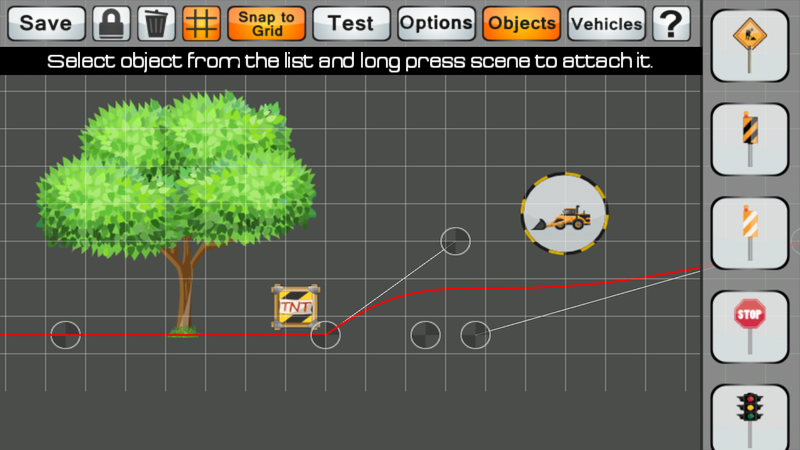 And not only allows you to create your own levels but also play levels created by the community. While there are other similar games to Construction City, level editor gives this game the edge over the others. It will certainly appeal to creative players. I found the editor a little bit hard to use on the phone, but I can imagine it works very well on a tablet. Construction city is a very well made game. You can tell that the author paid a lot of attention to details and made sure all machines behave as they should. Neat 2D gaphics, good sound effects and a level editor packed in a game that is completely free. If you like this kind of puzzle games or heavy equipment, you won't be dissapointed.